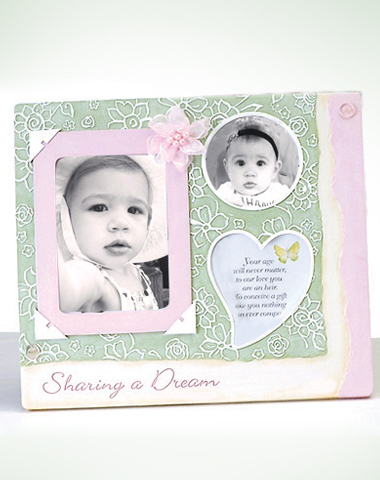 This beautiful multiple frame has an elegant baby-girl-scrapbook appeal. Accented with a pink embossed rose pattern. The adorable frame to display your favorite photo's!